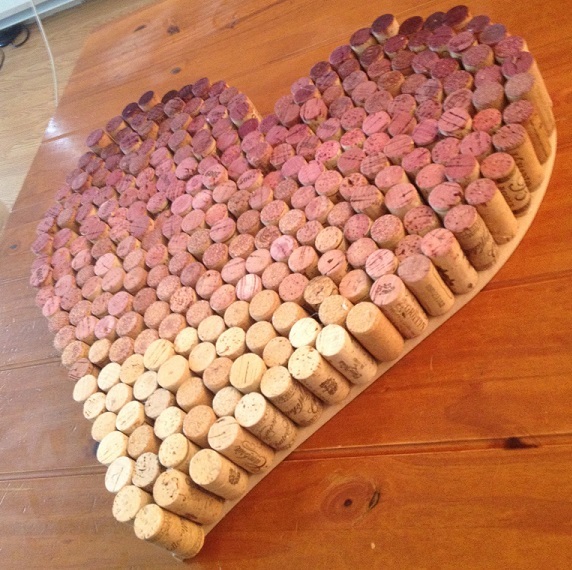 Post-Grad Crafting: Ombre Wine Cork Heart! 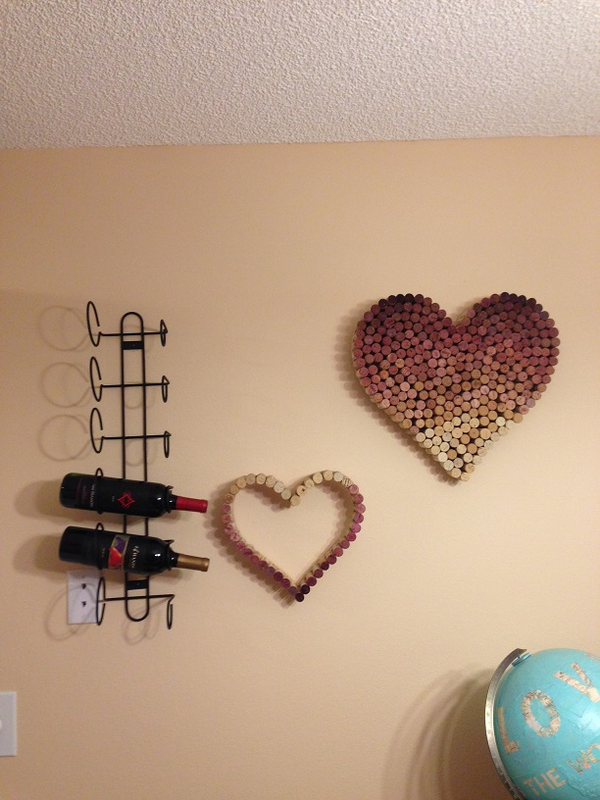 When I decided I wanted to make a wine cork heart, I searched for a long time in all the nearby craft stores and online for a nice big wooden heart to use for this craft that wasn't super expensive, and failed miserably. Finally I came across the website Build-a-cross.com. Yes, it sounds like an intense Christian site, but it has nice wood cut outs of almost any shape you could want! Psst... They just e-mailed me a 25% off code "October25" that is supposed to be good through 12/31/13! And it covered about 1/4th of the thing. This place is muy fabuloso because it gives you the option to order all red or all white wine corks. 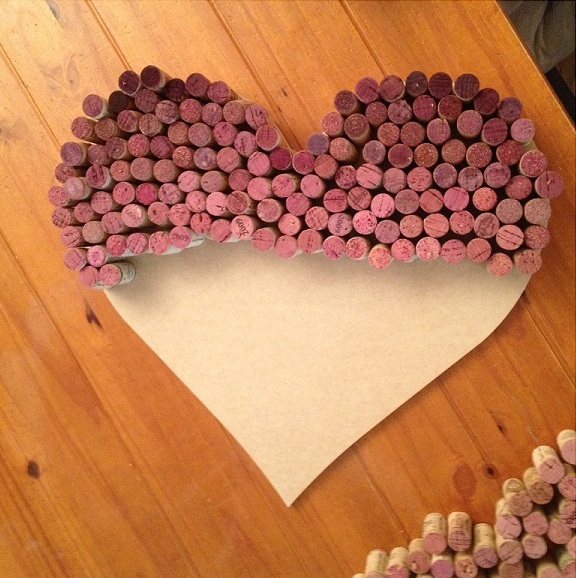 Since I most drink white wine, I was lacking a bit in the red stained cork department for the creation of my ombre heart, so I ordered 100 red wine corks. So once I had all the corks I needed, I laid them all out on my table and started to organize by shade of red until I had a little red wine cork rainbow. 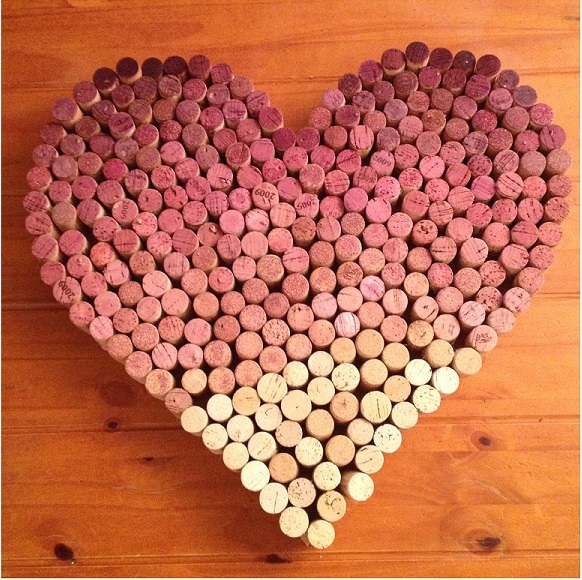 Then, I started at the top of the heart with the darkest reds and laid out all of my corks. One they were all in position, I added a dot of hot glue to the bottom of each cork and glued them into position! 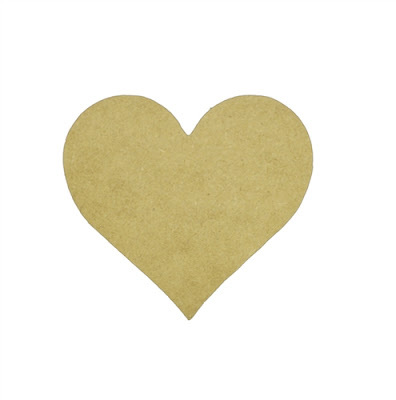 Click here to get to my original Pinterest post of this craft and re-pin away! How did you hang it? Did u add a hook? Is it secure? Love this! Can't wait to do it. I drilled holes directly into the wood backing to hang on nails in the wall and it remained very secure. Approximately how many corks total did it take? Unfortunately I did not count them. As an educated guess I would think about 300? DIY Washable Glittered Champagne Flutes! Flower Crayon Art- Without the Crayons!